Jack has a new, thought- and blog post-provoking blogpost entitled Why Math & Reading are Overrated. I read the post largely as a call for broader assessment of students, both in rating schools and college admissions. I understand Jack’s points, but I would like to suggest that there are good reasons for maintaining a narrow focus on math and reading in large-scale assessments. Math and reading are fundamental, necessary if not sufficient for success in a broad range of academic pursuits. To deprive children of the opportunity to master reading and elementary mathematics is to severely limit their future options, both in school and in the workforce. To use Jack’s example, weak public speaking skills aren’t likely to prevent a person from successfully completing an engineering degree, but weak math skills certainly will. I’m no longer sure that there are any other academic subjects or skills, except to some extent writing, for which this is more or less universally true. That is, for any other academic subject, we can identify many successful people with little knowledge of it–geography, history, government, science, art, music, literature, or foreign languages. Moreover, if something is hard to measure well in a large-scale assessment, we certainly shouldn’t be measuring it poorly with high stakes attached to the results, no matter how highly we value the thing that is hard to measure well. Consider the case of large-scale writing assessments and the unfortunate effect they have had on writing instruction. There is an inherent difficulty in ensuring consistent scoring for thousands or tens of thousands or hundreds of thousands of writing samples (or extended constructed responses, if you prefer), necessitating a detailed scoring rubric, followed by teaching to the test (scoring rubric, really), with the horrible result of not excellence, but tedious and formulaic writing (see the five paragraph essay or the 3-5-3). No doubt that attempts at large-scale assessments of 21st century skills would result in teaching students to produce similarly tedious and formulaic evidence of their capacities for “critical thinking”, “creativity”, “innovation”, “collaboration”, and public speaking. Which means, I think, that a narrow focus on math and reading is preferable to more expansive large-scale, high stakes tests in order to allow local districts and individual students as much leeway as possible to shape school programs according to their own educational values and goals. More than that, I think that a narrow focus on assessments of basic competency in math and reading is preferable to more expansive, high stakes tests that purport to be able to measure higher order thinking/depth of understanding or other 21st century skills. I think H. Wu offers a compelling argument for a driver’s license style, basic competency assessment for math and reading. His article is worth reading in its entirety, not just for the details of his suggested alternative, but also for his overview of the limitations of large-scale assessments. Would the assessments measure all of the things that Jack thinks are important? Nope. But perhaps they could change the conversation we’re currently having about public education and mitigate the worst effects of large-scale, high stakes assessment. This entry was posted in assessment, math, reading on January 19, 2014 by Karen W.
I read Principal Joey’s post, Stop trying to make your kids read, a few days ago. I agree with much of what he says–though I find the statistics he cites on adult readers, and specifically those training to be teachers, to be horrifying–with the exception, perhaps, of making time for reading at school. I think that reading for pleasure requires both free choice and uninterrupted time, two things that schools are not particularly well-known for providing. I think that making time for reading at school might be the functional equivalent of reading logs, just shifting monitoring duties from parent to teacher. I think it is hard to get absorbed into a book if the teacher is going to make you put it down after fifteen or twenty minutes to move onto the next classroom activity. I think that peers can sometimes be a problem. One thing I love about my Kindle is no longer receiving negative comments about what I’m reading when I take a book to read while I am waiting somewhere–although I miss out on the opportunity for positive comments too, the comments were, in my experience, largely negative ones. (Knitting in public, on the other hand, in my experience, results in uniformly positive comments for whatever that is worth.) Imagine having your reading level/interests on display in front of classmates if your reading level/interests diverge from what the cool/popular kids are reading? The teacher reading aloud to the students. I still remember Mrs. W reading aloud from The View From the Cherry Tree. We moved before she got to the end and I spent months waiting to get my hands on copy so I could find out how it ended. Regular visits to a well-stocked school library, staffed by book lovers who are skilled at connecting children to books that may be of interest without being judgmental. In a related vein, I have found myself spending more time reading fiction of late (while those education books gather dust in the too-be-read pile). Though I read classic and contemporary adult fiction, one of the joys of parenting has been spending more time reading juvenile and young adult fiction too, in parallel reading with my kids, preview reading for them, and reading aloud to them. There have been some surprises along the way–my children loved Jules Verne (whom I hadn’t read previously, but also enjoyed) but hated Harriet the Spy (a frequently reread favorite of my childhood)–which means I’m generally on the lookout for book recommendations, particularly ones beyond my usual preferences. We are currently reading The Bronze Bow and Gregor the Overlander together, with The Magic Thief books in reserve. Any recommendations for other books to try–as read alouds or independently? Please share in the comments! This entry was posted in reading on January 5, 2014 by Karen W.
A reader with mixed-feelings about my Kindle. The Kindle was a lovely and thoughtful gift from my husband that sat neglected for months until John Irving’s latest novel hit the stores and was nearly instantly downloaded onto the Kindle for me by the aforementioned husband. So, finally, I read my first book on the Kindle and was somewhat underwhelmed. I love being able to set down a book without scrambling for a bookmark to hold my place, but I missed the sense of progress marked by the bookmark’s progress from front to back of the volume, and the ability to peek ahead to see just how long the next chapter will be before I decide whether I have time for just one more chapter before bedtime. Turns out that I’m not alone on this. Salon had an interesting article (months ago now) on e-readers and reading comprehension, that touched on not just the differences in reading between paper and screens, but also how reading on screens might inhibit reading comprehension. In any case, I have long wondered about role-modeling reading for children in a digital format. When I read on the Kindle, does that really register with my kids that I am reading rather than, say, playing video games, watching a movie, or keeping an eye on my Twitter feed? This entry was posted in reading, technology on January 4, 2014 by Karen W.
The post consists mostly of a letter written by Steven Dykstra, and signed by others, in response to critics of NCTQ’s review and rating of teacher preparation programs (see previous The Answer Sheet posts “Literacy experts say reformers reviving ‘reading wars’” and “How the ‘reading wars’ are being reignited“). The Reading Wars are an ongoing struggle between those who understand that children must be taught to use letters and sounds to decode and spell words, and those who think children should mostly or entirely eschew that method (generally known as phonics) in favor of guessing. The first side is guided by science, the alphabetic nature of our written language, and a common sense recognition that understanding the meaning of text is predicated on accurately identifying words. The second side believes that children should be taught to construct meaning from text based on their own meaning-based intuitions about what the words might be. That is, rather than reading the words of a text to expand their knowledge and understanding (as well as their reading prowess), this second side encourages children to use their own existing knowledge and understanding to guess at words. If Marie Clay sounds right on the money to you, we’ll have to agree to disagree on this issue. I’m opposed to causing children to become “reading failures” before we clue them in that written English is a code system that uses single letters and combinations of letters to represent the sounds used to create spoken words. This entry was posted in reading, soapbox on September 18, 2013 by Karen W.
Michelle Hosp has been named director of the Iowa Reading Research Center. She had been serving on the IRRC Advisory Board as an RtI (Response to Intervention) State Transformation Team Representative. Dr. Michelle Hosp is a Research Associate in the College of Education at the University of Iowa. She has a background in school psychology and special education. Her research is in the areas of assessment and reading. She has published articles, a book, and conducted workshops both at the state and national level on implementing Progress Monitoring within a Problem Solving framework. Potential bias in predictive validity of universal screening measures across disaggregation subgroups. Janice K. Dole, John L. Hosp, and Michelle A. Hosp.School Psychology Review. 40.1 (Mar. 2011) p108. Second Opinions on the Reading First Initiative: The View from Utah. Janice A. Dole, John L. Hosp, Michelle K. Hosp, and Kristin L. Nelson.Journal of Literacy Research. 42.1 (Annual 2010) p27. Using CBM as an indicator of decoding, word reading, and comprehension: do the relations change with grade?. Lynn S. Fuchs and Michelle K. Hosp.School Psychology Review. 34.1 (Winter 2005) p9. The SURF Board: a collaborative strategy. Sally M. Barton-Arwood, John L. Hosp, and Michelle K. Hosp.Academic Exchange Quarterly. 8.1 (Spring 2004) p56. Characteristics of behavior rating scales: implications for practice in assessment and behavioral support. John L. Hosp, Michelle K. Hosp, and Kenneth W. Howell.Journal of Positive Behavior Interventions. 5.4 (Fall 2003) p201. Curriculum-based measurement for reading, spelling, and math: how to do it and why. John L. Hosp and Michelle K. Hosp.Preventing School Failure. 48.1 (Fall 2003) p10. Behavior Differences Between African-American and Caucasian Students: Issues for Assessment and Intervention. Michelle K. Hasp and John L. Hosp.Education & Treatment of Children. 24.3 (Aug. 2001) p336. Earlier this month, Hosp made a presentation to the Iowa State Board of Education on Reducing the Achievement Gap. There is something vaguely depressing about the notion that a person “whose career has focused on literacy, instruction, interventions and assessments” would need to identify evidence-based practices in literacy. One might like to think that such a person might already be up to speed on those evidence-based practices–if so, why not get right to spreading the word and designing the summer literacy program? Here’s hoping things start to look better soon. This entry was posted in IRRC, reading on June 24, 2013 by Karen W.
The Iowa State Board of Education met for its annual retreat last week. The agenda is available here but be forewarned that clicking on the tabs will download pdf files (rather than opening them in a new browser window). Universal reading screening assessments for all students and progress monitoring assessments for students identified for additional instruction or intervention: Formative Assessment System for Teachers earlyReading, CBMReading, and aReading; and Individual Growth and Development Indicators. RtI (Response to Intervention) data system to collect assessment data and to provide access to the data at the teacher, building, district, AEA, or state level. Check out the TIES (Technology and Information Educational Services) Iowa promotional video. If less than eighty percent of students are proficient on the universal screening assessment, examine reading instruction practices. Identify a standard treatment protocol for use with students identified as at-risk during the universal screening process. Assessment Redesign: Tab B is Dave Tilly’s twenty-eight page handout which includes Iowa’s current teacher evaluation requirements, an overview of the Federal Flexibility Waiver process, a letter from the USDE about the status of Iowa’s flexibility waiver, and notes on teacher evaluation and student achievement data. The discussion questions (see pages 2 and 3) look interesting; I hope the minutes are detailed. Online Learning and Other Technological Advances. One of the following bullet points is “[s]upport a requirement that all students take at least one class online”. What is the purpose of this? To acclimate students to online learning options for learning after high school or as a move towards a different model of schooling? One of the following bullet points is to study accountability (especially use of student achievement data). Reducing Achievement Gaps. Based on Michelle Hosp’s presentation, this seems to be largely about improving reading instruction. The goal ought to be effective classroom instruction that minimizes reading failure and the need for intervention, in other words, getting reading instruction right for as many children as possible the first time (in the classroom) so that as few children as possible require intervention. This is a difficult goal to achieve when there seems to be so much resistance to discussing whole language, balanced literacy, phonics, or the five elements of science based reading instruction (see generally posts in the reading category). Much safer to talk about data and assessments and standard treatment protocols. Evaluating teachers using student test scores and providing mentors and teacher collaboration time might gets us to widespread implementation of science based reading instruction in the classroom, but it is far from certain, especially without clear understanding, guidance, and support from the DE, the State Board, and the new Iowa Reading Research Center. With the CCSS’s emphasis on informational text, complex text, reading aloud, and inquiry-based learning, more of the nation’s attention is currently focused on higher-level comprehension, leaving almost no room for discussion of beginning reading and the needs of students with reading difficulties. The teacher-directed, systematic, sequential, explicit approaches that work best (Archer & Hughes, 2011; Clark, Kirschner, & Sweller, 2012; Rosenshine, 2012) are receiving much less discussion than they deserve. The risk, of course, is that even larger numbers of students will fail to become independent readers and writers. The RtI data system and the assessments might be a step in the right direction, but I’d sure like to hear something more from the State Board, the DE, and the IRRC that indicates that they really understand early reading instruction issues and see improving classroom instruction as a top priority. This entry was posted in Iowa Ed, reading, soapbox, state board of education, technology on June 12, 2013 by Karen W.
Update: Iowa Reading Research Center’s has a new website here. The minutes of the November 7, 2012 meeting of the State Board of Education indicate that there was discussion of “what will happen if the center does not receive future funding” but the details of that discussion are not included. The IRRC has a logo (see above), an interim director, and a website. The IRRC is accepting applications for Director of the Center through March 31st, with the office location and employing AEA to be determined by current location of the selected candidate. (Apparently Director Glass has chosen the AEAs to host the IRRC). Grant Wood AEA 10 was chosen to be the fiscal agent of the Center. The rules governing the IRRC are in the Iowa Administrative Code under the Education Department  Chapter 61. Much of the work of the Iowa Reading Research Center will be done through a partnership between the Iowa Department of Education and the Iowa Area Education Agencies called Collaborating for Iowa’s Kids (C4K). The intent of the collaborative is to effectively and efficiently work as a comprehensive educational system to accomplish agreed-upon high-impact priorities: the literacy component of the Iowa Core, Response to Intervention, educator quality, and school improvement. 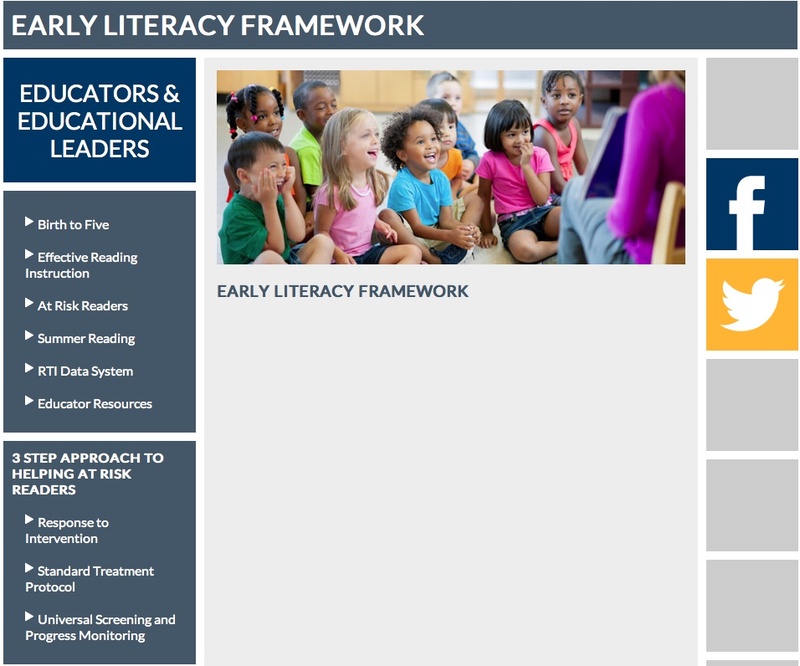 The initial work for the group’s collaborative efforts will be preK-6 reading with a focus on early literacy. The C4K website is here and an AEA blogpost about the C4K partnership is here. It’s hard to know what to say about all of this, so I’ll just leave it at this: I remain skeptical about the likelihood that there will be a substantial, positive change in reading instruction as a result of this work. This entry was posted in IRRC, reading, reform on March 25, 2013 by Karen W.